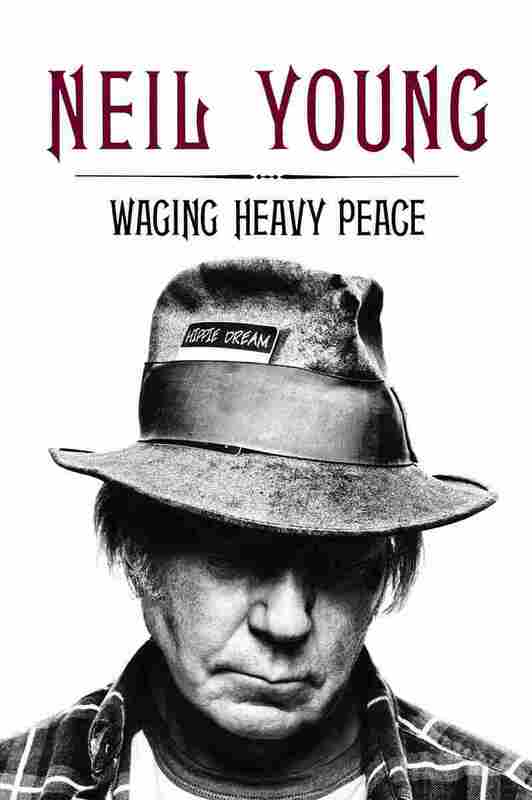 Neil Young Wages 'Heavy Peace' On Music, Family, and Medical Conditions Waging Heavy Peace is about his music, raising two sons with special needs, and his own medical conditions, which have included polio, epilepsy and a brain aneurysm. 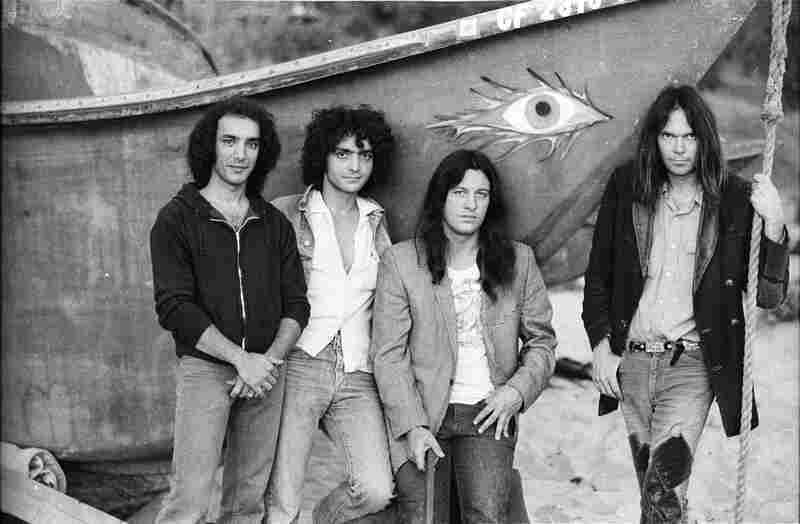 With Crazy Horse, left to right: Ralph Molina, Billy Talbot, Frank "Poncho" Sampedro, Neil Young. On Malibu Beach, 1975. 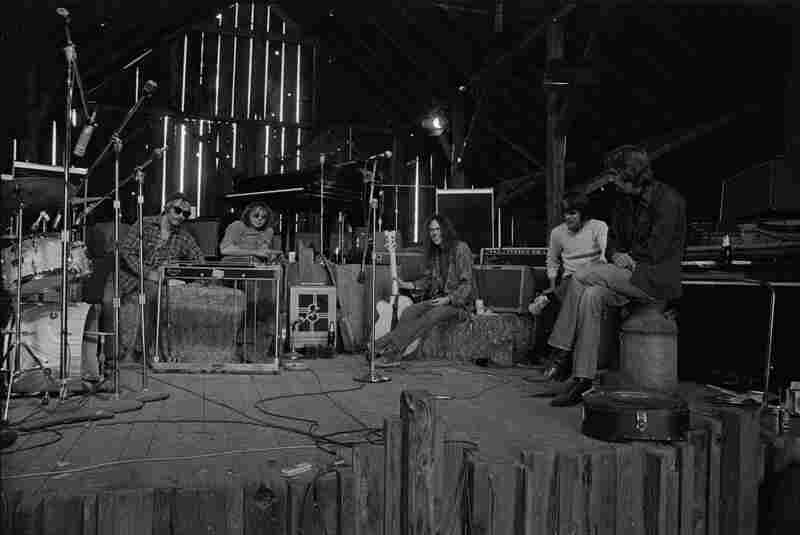 With the Stray Gators in the barn at Broken Arrow Ranch, 1971. Left to right: Tim Drummond, Jack Nitzsche, Neil Young, Kenny Buttrey, Ben Keith. 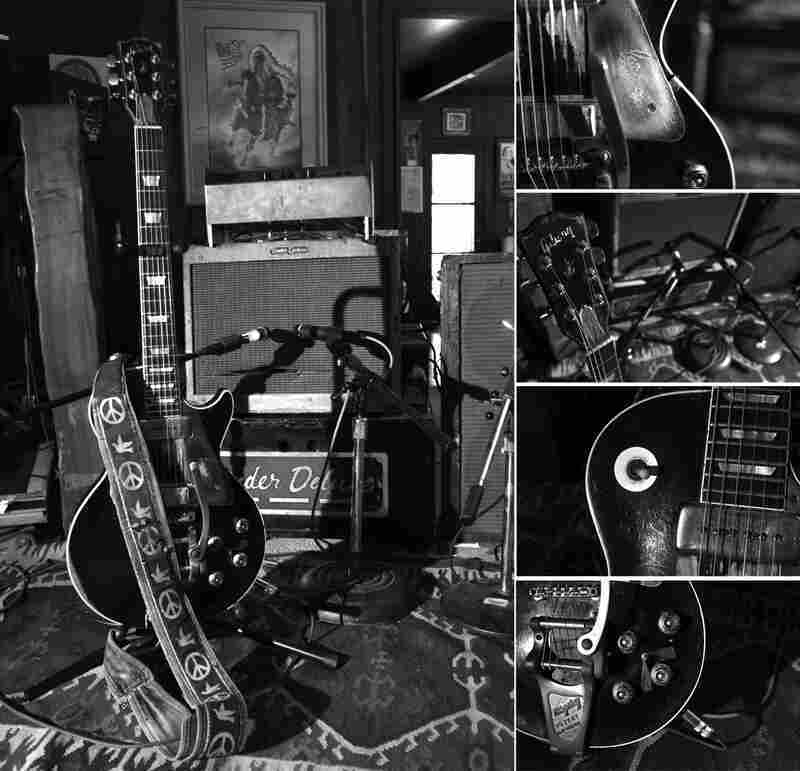 Neil Young's faithful guitar, Old Black, and his amps in 2012. 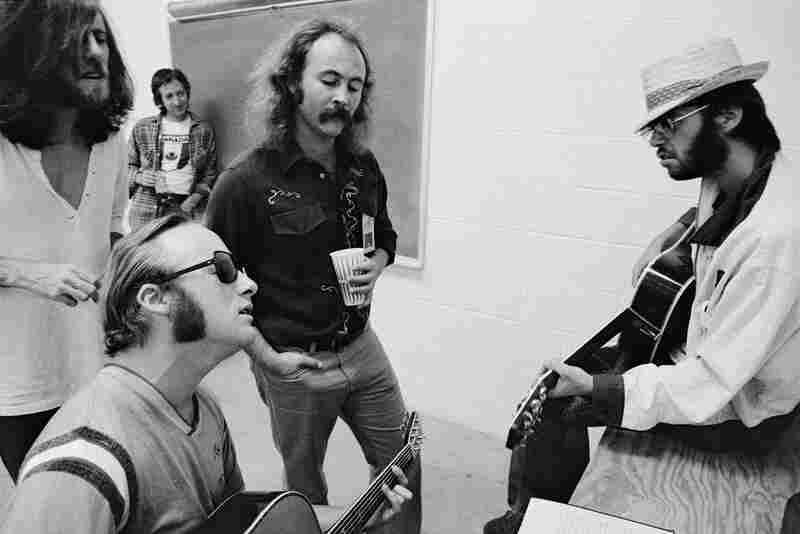 Left to right: Graham Nash, Stephen Stills, David Crosby and Neil Young, with Elliot Roberts in the background, backstage before a CSNY show in Denver, 1974. 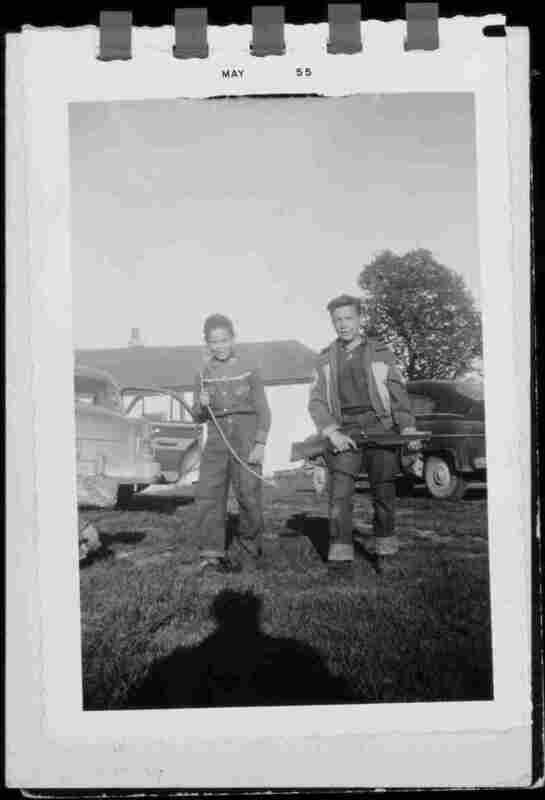 Neil Young's brother, Bob, holding a rifle, and Neil with a bow: Omemee, Ontario, 1955. 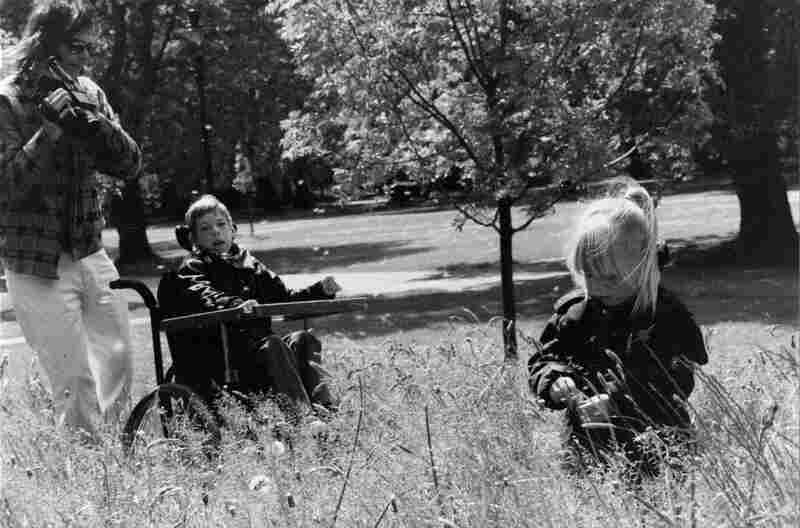 Neil Young videotaping his children, Ben and Amber, on a trip to New Zealand in 1987. "It has to do with having a radioactive dye injected into your nervous system — basically into your back, so it goes right into your nervous system," Young says. The dye is tracked up into the head, but "they usually get some bubbles of air and stuff in there too, so when those go through your brain, it's excruciating." Young says he used to be very anxious. In his early 20s, he would go into a store to buy some food and "couldn't even handle the detail in the hallways, in the aisle ways — all the packages and everything used to just freak me out," he says. Eventually, about halfway through the shopping trip, he would drop everything and need to leave the store. The memoir contains other obscure episodes of Young's life, including a brief stint as a Motown artist. In 1966, he joined the Canadian R&B band The Mynah Birds, which signed with Motown Records and was fronted by Rick James. Like most Motown acts, the group was sent to choreography school, where the record company and band realized it wasn't a good fit. "We had Ricky with us, but everyone else — we were a bunch of white guys from Canada, so we didn't have the moves," Young says. Neil Young collaborated with Crazy Horse on this past summer's Americana. He has another album with Crazy Horse, Psychedelic Pill, due out on Oct. 29. "First of all, the concert was a great time, because I was like coming home. The last time I'd been in Toronto before that, I was basically living on the street, and I had a flat that I was living in that cost like $12 a week. I had a little hotplate — cooked beans and stuff in my room. I'd really tried to get gigs as a folksinger and didn't do too well at that, so it was my formative time. So I wasn't a big success the last time I was there before this visit, so going back there and playing at Massey Hall and having a couple sold-out shows in one day — it was a real rush. So there was a great feeling. And plus, being Canadian and having reached a certain level of success in the States — it was a big deal, and I was in my early 20s. So when I showed up there, it was like all the Canadian kids that were there — they felt like, 'If this could happen to this guy, this could happen to me. It could happen to anybody.' Sort of a celebration of Canadian spirit." "He's very happy. He doesn't see it like we see it. He's living his life one day at a time, one moment at a time. Events keep happening. We keep doing things. We take him everywhere with us. His life is full, robust, got a lot of people around it. He's been the way he is for 35 years or so, and he's never known it another way, so he's doing great. We're very happy to have our spiritual guide along with us. He doesn't say much, but he speaks volumes with his eyes and with his movements and by the feeling that comes from him. He's just a blessing. He's given our lives a lot of depth." "I try not to think while I'm doing it. Hopefully, I'm completely gone somewhere and I'm just making a sound, and I just like to hear the sound. So it's all about having a good time and making a sound, but you really have to have a reason for making the sound. So that's why I write songs and the songs have got the message. But after a while, you forget about the message — you just get the sound going, and then the two things go together, and then if you're lucky, you write another song. There has to be something to say that gives validity to what I'm playing, so that you can't just play for the rest of time." "I mean, I'm an artist. I created my stuff — I don't want to just throw it away. I'm not like a record company. Some of the record companies that created some of the greatest art that I remember — they didn't take care of it, so nobody knows where it is. People didn't realize how great it was, so you can't find it. And we discover some of these things — as we're looking for contemporary or even, in many cases, much more accomplished artists than myself — have got great recordings and legacies of great recordings. And we're looking for those in connection with my Pono Music System, so that we can capture those and preserve them for future generations to be able to hear them at the highest level of technology that we have today. I value the works of artists. I value the sound of recording. I think that music recording is an art form, so I want to make sure that art form survives."